Not to be confused with Hayes railway station or Harlington railway station. 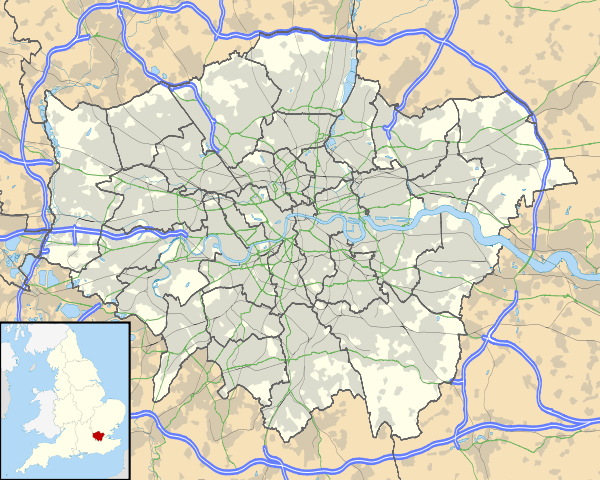 Hayes & Harlington is a railway station in Hayes and Harlington in the London Borough of Hillingdon which is in West London. The station is on Isambard Kingdom Brunel's former Great Western Main Line running out of London Paddington to the Thames Valley, Bristol, South Wales and the West Country. The line was opened on 4 June 1838, initially running to a temporary Maidenhead station to allow completion of the famous brick arch bridge over the River Thames just west of the station. The station at Hayes opened in 1868. From 1 March 1883, the station (then named Hayes) was served by District Railway services running between Mansion House and Windsor. The service was discontinued as uneconomic after 30 September 1885. The film Trains at Hayes Station, showing trains passing through the station with stereophonic sound, was filmed from the roof of the defunct Aeolian pianola factory just north of the station. The factory had been purchased by HMV when the pianola company had collapsed owing to fraud and technological obsolescence. The film is almost the first demonstration of stereophonic sound to accompany moving pictures, an invention of Alan Blumlein. The station has five platforms, four being through platforms and one being a terminus bay platform. Platforms 1-2 are used only during engineering works; platforms 3 & 4 are for stopping services to and from Heathrow Airport, Reading and Oxford; platform 5 is a bay terminus platform, which is sometimes used during peak times, amended services and during engineering works. Platform 5 is capable of holding an eight-car train; platforms 2, 3 and 4 can hold seven-car trains and platform 1 can hold a five-car trains. All lines at Hayes & Harlington are electrified. On platform 5 there is an alternative entrance leading to High Point Hayes, the entrance has Oyster Pay & Go readers, platforms 3 & 4 are connected by a bridge towards the end of the platforms. Although a busy station there are no automatic ticket barriers, but manual ticket checks take place on a daily basis. Hayes is the location of the junction for the Heathrow Airport branch. For this reason, the lines through the station are electrified with 25kV a.c. overhead power, although they only continue along the Airport branch — however, the main line to Reading will be electrified by 2016 as part of the project to modernise the Great Western Main Line. The junction itself, to the west of the station, consists of two ground level high-speed turnouts from the main lines, the 'down' (away from London) line curving away to the left towards the Airport and the 'up' (towards London) line passing over a major concrete flyover construction to clear the up and down main lines before joining the up main line on the flat. This arrangement permits a London-bound electric train to join the main line from Heathrow at the same time as a Reading-bound train passes along the down main line – if there were simply a flat junction one of the trains would have had to be held to allow the other to pass. Great Western Railway serve the station with stopping services and fast services in both directions between Paddington and Reading stations, as well as Didcot Parkway and Oxford. Heathrow Connect services jointly run with Heathrow Airport Holdings (who built the tunnel and airport junction to the airport) and FirstGroup (providing a fast electric main line alternative to the Piccadilly line for passengers travelling to Heathrow Airport) also serve the station, and replaced the stopping services under First Great Western Link between Hayes & Harlington and London Paddington. 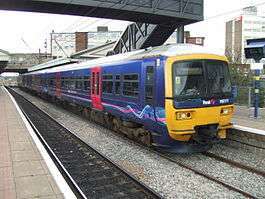 The station is served by local services operated by Great Western Railway from London Paddington to Reading and Heathrow Connect services from Paddington to Heathrow Airport. Oyster "pay as you go" can be used for journeys originating or ending at Hayes & Harlington. Hayes & Harlington will be served by Crossrail trains using new twin-bore main line diameter tunnels underneath central London which will surface west of Paddington station. Although beyond the core tunnel section, Hayes & Harlington will be provided with a frequent metro service across the capital to Docklands, east London and Shenfield, replacing the current Great Western Railway service. The project also includes electrification of the slow lines along the Thames Valley as far as Reading, Crossrail's planned terminus. ↑ MacDermot, E T (1927). History of the Great Western Railway. 1 (1833-1863) (1 ed.). London: Great Western Railway. ↑ Rose, Douglas (December 2007) . The London Underground: A Diagrammatic History (8th ed.). Harrow Weald: Capital Transport. ISBN 978-1-85414-315-0. ↑ Day, John R.; Reed, John (2008) . The Story of London's Underground (10th ed.). Harrow: Capital Transport. p. 26. ISBN 978-1-85414-316-7. 1 2 Yonge, John; Padgett, David (August 2010) . Bridge, Mike, ed. Railway Track Diagrams 3: Western (5th ed.). Bradford on Avon: Trackmaps. map 2B. ISBN 978-0-9549866-6-7. ↑ "Oyster PAYG on National Rail" (PDF). National Rail Enquiries. 2008-10-20. 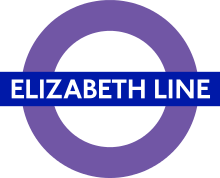 ↑ "Crossrail Station Design Contract Awarded". Crossrail. 17 May 2011. Retrieved 26 July 2012. Wikimedia Commons has media related to Hayes & Harlington railway station.